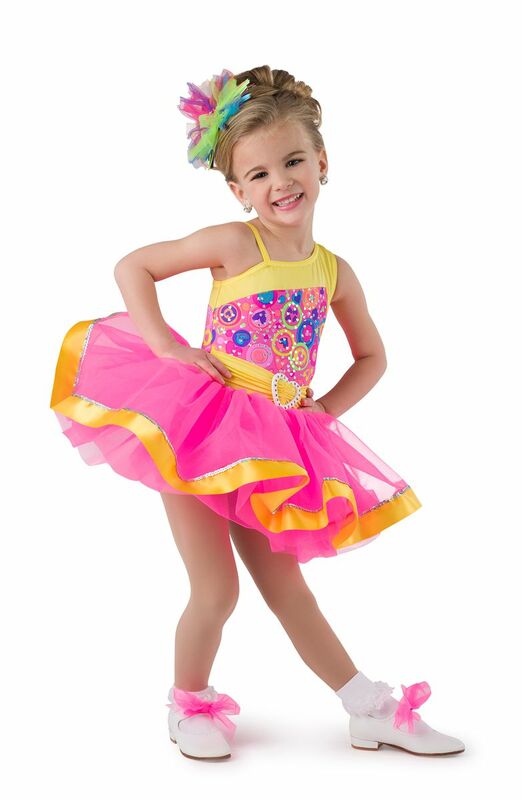 Holodot ruffled mesh over flo-cerise leotard with adjustable straps. 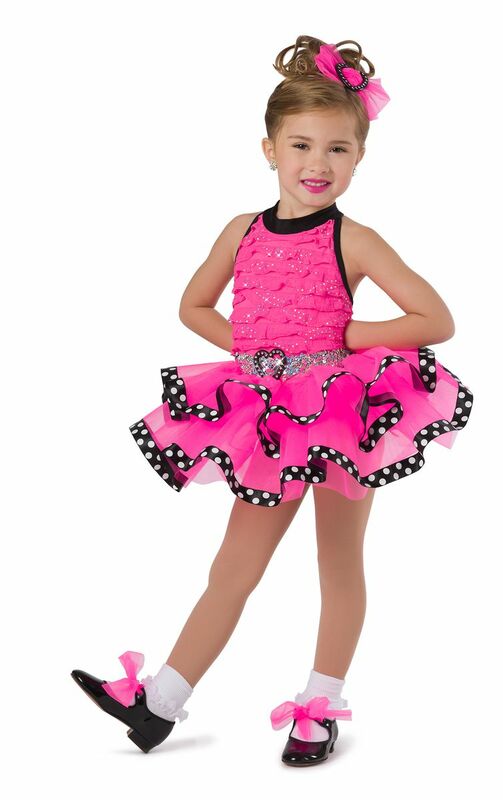 Attached silver sequin belt and flo-cerise tricot tiered tutu. Binding, buckle, and ribbon trim. Made in the USA / Imported.